If you are studying Chinese/English and like learning vocabulary, check out Hiway. PROS: Chat with native speakers nearby via text message. Tap unknown words for a definition and add it to your flashcard deck to grow your vocabulary. CONS: Hiway is based in China, and being in California, the nearest person I could chat with was the Apple app reviewer. The rest were 6,000+ miles away in China. The UI is a bit cumbersome: I failed flashcard review because I didn’t know how it worked and there’s no how-to tutorial. naboomboo offers language exchange via video and text chat. PROS: Search for language partners learning your target language and set up a time to chat and a topic to discuss. If you’re learning Italian this is the site for you. Being founded by an Italian team, nearly all of its 1,000 users are Italian. The video platform offers clear, uninterrupted communication, among the best in the language learning space. CONS: This concept is not new. The gamification aspect (unnecessarily) limits chat time and makes it very difficult for new users to have extended conversations. Hello Talk allows you to interact with speakers of other languages instantly via text and chat. PROS: You can upload voice clips, and press and hold text for an automatic translation. It’s similar to WhatsApp, but with translation functionality. The app has a good user base and it’s easy to meet people from all over the world. CONS: Unfortunately, you can only set your profile to learn one language at a time. The app isn’t good for long-term language partners as users tend to come and go. PROS: The CoffeeStrap Android app and website offers a board where language learners can post a profile including what language they would like to learn. The user base is widely represented in and around Europe, the USA and the Middle East. CONS: CoffeeStrap’s design has improved tremendously since it first launched several years ago. Unfortunately, its offerings are limited and nothing new compared to most language sites. 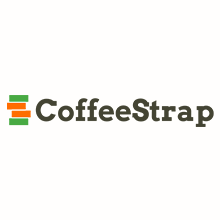 As of December 2015, CoffeeStrap is no longer in business. i2istudy offers free structured practice with native speakers via video chat. PROS: If you’re shy, you’ll never have to worry about finding a topic to discuss because the site offers ready-made curriculum. It’s a truly great learning experience and adds to or removes minutes from your language bank based on how much you teach or learn. CONS: Currently, the site only offers curriculum in four languages—Russian, English, German and Spanish. Native English speakers are few and many non-native speakers teach English. The curriculum lacks useful content in some cases.